A host of Premier League clubs have dispatched their scouts to check on Greek full-back Leonardo Koutris. 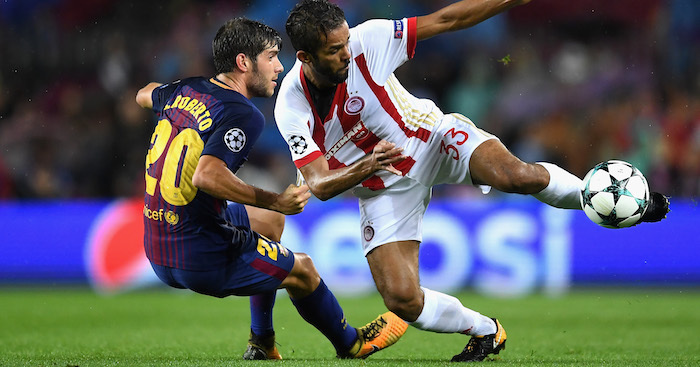 The Olympiakos left-back has a host of clubs from throughout Europe checking on his progress, and the 23-year-old looks set for a summer switch. Italian side Genoa failed with a £5million bid in January, with Olympiakos looking for nearly double that and they look set to get it for Brazilian-born Koutris. We can revealed that Leicester, Everton, West Ham and Newcastle were all represented in Vaduz as Greece faced Leichtenstein in their Euro 2020 qualifier. They are also set to check on him in Bosnia next week.